The Camera Angle ® offers a variety of imaging and website services. 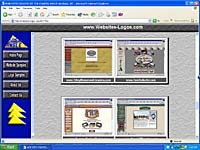 AlbertCardwell.com was created as a central access point to all of our different websites. 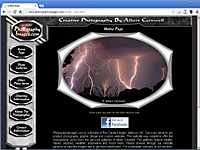 This website features a large collection of photographic images captured by Albert Cardwell, a North Carolina photographer. 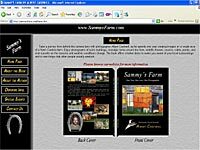 The site offers ready to frame prints in a variety of subjects including wildlife, coastal, abstract, nature, weather, automotive and digitally created images. See farm scenes, wildlife, flowers sunsets & weather conditions taken during a one year period from one acre of a farm in North Carolina. 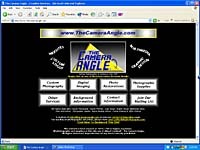 This website was created to show samples of the website and logo design services that The Camera Angle offers. You can easily browse though different websites that we have created. All of the websites are created with original artwork to match the clients needs. Templates are not used in our services. Click here to see our new 360 degree photography services. 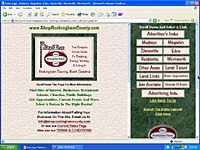 This site is a great way to discover Rockingham County, North Carolina. The site showcases business, places to see, public facilities, restaurants, churches, etc. Ads are available to the businesses located within the county to promote their services. Looking for a custom license plate for your vehicle? Then this is the site for you. 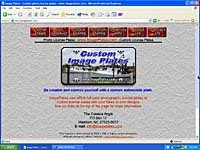 Image Plates offers license plates with full color photographic images. We offer stock images or we can custom design one for you. They are great for company logos or just for expressing yourself. This website offers an easy shopping cart for a variety of military prints created by Tom Butler, a North Carolina artist known throughout the country for his flag paintings. The site offers 11x14 matted prints ready to be framed. Marines, Army, Navy, Coast Guard and other flags are represented. We offer the full selection of Tom Butler art prints and services. This website features all of the earlier art created by Tom. The site offers a variety of limited edition prints and small matted prints in his scenics, old grocery stores, flags and memorabilia. Take a trip back in time and browse the artwork of Tom Butler. 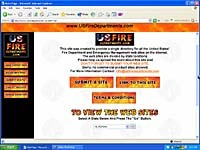 This site was created as single location to showcase the websites of fire departments and emergency services throughout the country. The site is being developed, but fire departments are welcome to submit their sites now. Advertising is also available for emergency equipment providers or other services. The Camera Angle is a registered service mark.